A Baby Story – Where Do I Come From? Now, where am I going? Children love to hear stories from when they were little, especially their birth stories. I was no different, but my story was a little different than all my friends growing up. There are twelve years between my older brother and I. TWELVE!!!! J. Man is my parents biological son. J. Man was born with Cerebral Palsy and needs 24 hour care. Needless to say my parents had their hands full with a young child with special needs. They knew that wanted more children, but “naturally” (I hate to put it that way) wasn’t in their cards. And that’s not my story to tell, after all we are talking about me hehe. After years of heartache they made the choice to adopt, I believe it was a total of three years (I have to double check with my parents) they had a couple close calls but they all fell through for one reason or another. Then one day they got the call! The call they were waiting for. A little girl was born. I was six days old when they picked me up. 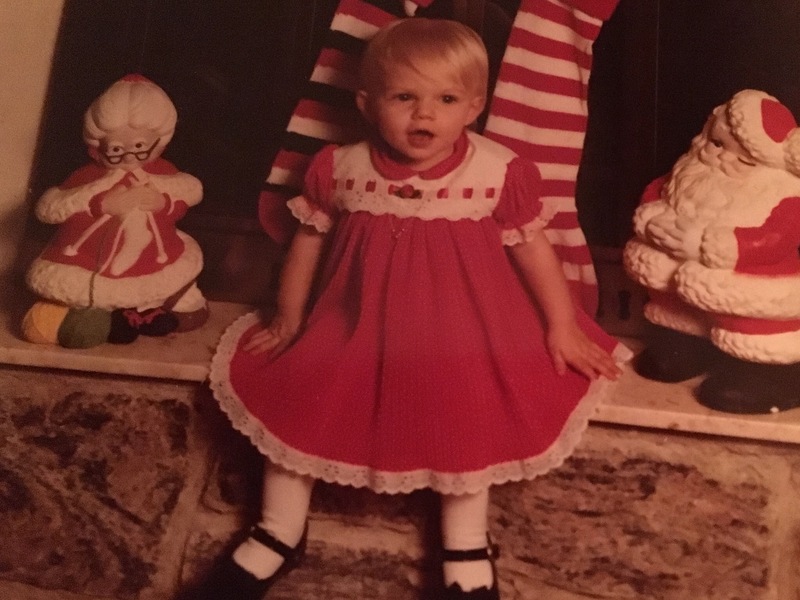 Mom always said I was in this hideous little green jumpsuit, as soon as she got her hands on me she changed me into a pretty white dress with strawberries on it ( I know this dress very well, she made me a baby doll, and dressed the doll up in that dress ). I always liked to look at my moms face when she told me this story, you can see the pure joy and happiness she had that very moment. From that moment on we were a family of four. A family who needed a little girl, and a little girl who needed a family. I found out many years later that in our state the biological mother has (or had, not sure if the laws have changed ) 30 days to change her mind. This is a concept, I to this day can not Phaethom what those 30 days were like! That’s thirty days of caring for an infant, bonding, changing diapers, kissing and snuggling, up at night for feedings, cleaning spit up, and falling in love every moment with that little baby. I couldn’t imagine more than a second with my children and someone telling me they would have to take them away. 30 days of fear every time the phone rang, your heart skipping a beat when you don’t recognize the voice on the other line. That alone shows the strength that my parents have, let alone many other things. Previous Post A Very Happy Mother’s Day! Next Post Do you have a family history of … ? Girl, your the best and I am incredibly proud of you.